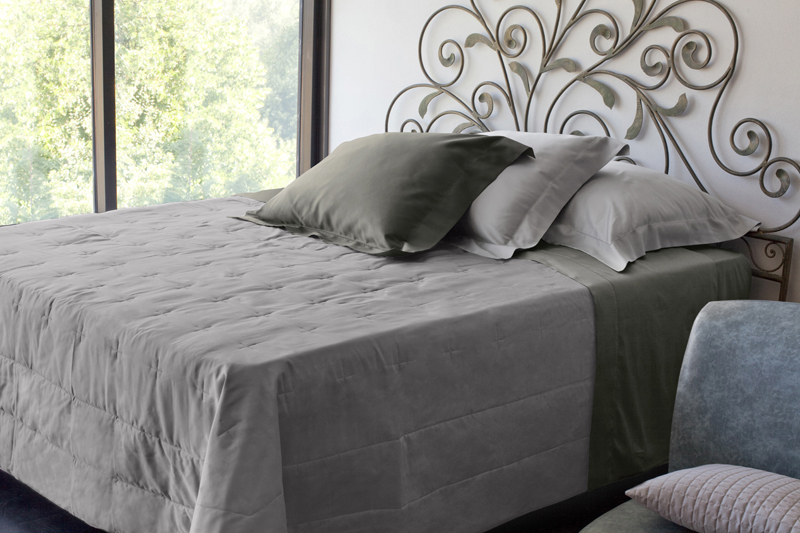 300 thread-count quilted bedding. Made in Florence. Available in: espresso, flax, ivory, lead grey, pearl, silver moon, Wilton blue, or white.